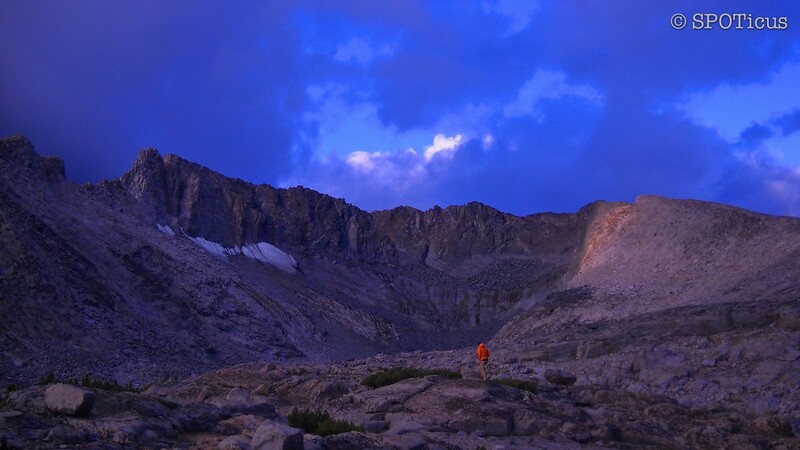 When planning for any backpacking trip, the first step should always be to define your goals. This probably sounds like too much work and not enough fun for somebody who’s approaching the activity casually, but there’s also nothing wrong with defining your goal as simply “to have fun”. In fact, early on, it’s likely that your goals will be similarly simple and equally vague… it’s hard to know what your goals are before you know what your goals can be. Experience leads to new doors; new doors lead to new adventures. You might wonder, “Well, if I’m not thru-hiking the Appalachian Trail and my goal is just to have fun, how much planning can I actually do?” The answer is, plenty. For starters, ask yourself: what do you want out of a trip? Waterfalls? Alpine views? An easy hike? Equally important, what DON’T you want out of a trip? Bugs? Cold/Hot weather? A 3,000 ft. climb? Not asking these questions during the planning process can quickly turn a great trip into a miserable one. So, what does all this have to do with gear? At a minimum, you’re going to need some basic items to get through an overnight or multi-day trip: shelter, sleeping bag, backpack, etc. But there are lots of types of shelters and sleeping bags and the way to choose which type you’ll need is to think about the conditions you’ll be encountering with those items. There is a difference between a review and an advertisement. -Pros and Cons (well, really, cons… everything has a downside because every feature is a potential tradeoff to another feature… I don’t believe there’s such a thing as an honest review without a cons list). Also be aware that a review for one piece of gear, written by one person without any context for who they are or how they hike, is, at best, mildly helpful… if it’s extremely well composed. The majority of the reviews you’ll find on retail sites like REI are only a paragraph and typically do not have enough context to be useful. The best sites are often on the opposite end of the spectrum, with lots of in-depth information, but are limited (like this one) by budget and time constraints. So while the quality of the information is high, the range of items discussed might be narrow. Good examples of in-depth reviews can be found on sites like BackPackGearTest.org and ProLite Gear. I’ve been very impressed with ProLite Gear’s video series, especially considering the fact that they’re a retailer. UL/SUL/XUL/SXUL/ZG¹ ² designations are stupid and meaningless. Is the “lightweight backpacking” label dead, along with its UL, SUL, and XUL derivatives? I hope so. Needless to say, I’m in agreement with him on these topics. There’s a difference between lightening up your pack for utility and lightening up your pack for no other reason than to hit a specific number. Some would argue that the latter isn’t just to hit a number, but then I would argue that if it’s not for the number, why have the number? Just “lighten up your pack”. Backpacking isn’t a competition (ok, there are adventure races and such, so it can be a competition… but backpacking PACKING isn’t a competition). ¹ I’m officially adding my own category, ZeroGravity™, to the fold. And I will ignore it along with all the others. ² About a month after I wrote this, Osprey updated their pack line with a new suspension system called Anti-Gravity (AG). I should have worked in marketing. There is no “perfect” system. On the other hand: aim small, miss small. This is a tough one, because there’s a fine line between improving your system and simply collecting gear. There’s nothing wrong with the latter and I suppose gear testing could be considered a hobby all to itself, but there’s a difference between testing gear to go backpacking and backpacking just to test gear. At a certain point, I think everyone should probably ask whether what they have and what they do is good enough. The answer will likely be determined on a sliding scale of trip intensity and length. For example, if you’re only ever going to do weekend trips and casual week long hikes, you probably don’t need a cuben tarp instead of a silnylon tarp. There’s nothing wrong with getting one if you’ve got the money, but be honest with yourself about your needs. It’s ok to be a weekend backpacker and you shouldn’t buy something that exceeds your needs just because you might run into somebody on the trail who is in the middle of a 2100 mile hike and wouldn’t carry the same things. That being said, be as specific as possible about what your needs are. The more thought you put into it, the easier it will be to select the right thing. One size doesn’t fit all, but it can fit many if you choose wisely. I’ll write more about this in the next post, but the idea is to develop a system of gear, not just a closet full of unrelated objects. This can take a lot of planning and practice, but it can save you money in the long run if you choose wisely early on.